Hello, and welcome to another inspirational day here at Weekly Scrapper! I am so happy you have found your way here. I hope you will enjoy the fun projects that I have to share with you today. Sit back, relax, and enjoy some down time for yourself. One can never have too many mini albums! They make a perfect gift for any occasion. Mini albums bring a smile to anyone’s face by sharing memories that have so much love and meaning. 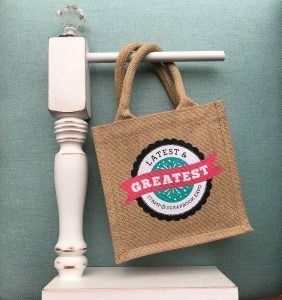 Not only will this be a fabulously warm and fuzzy gift, but they don’t have to take that much time to create. What an instant enjoyment for you, and especially the one receiving the album. This incredible mini album was created by the talented Pam Bray. 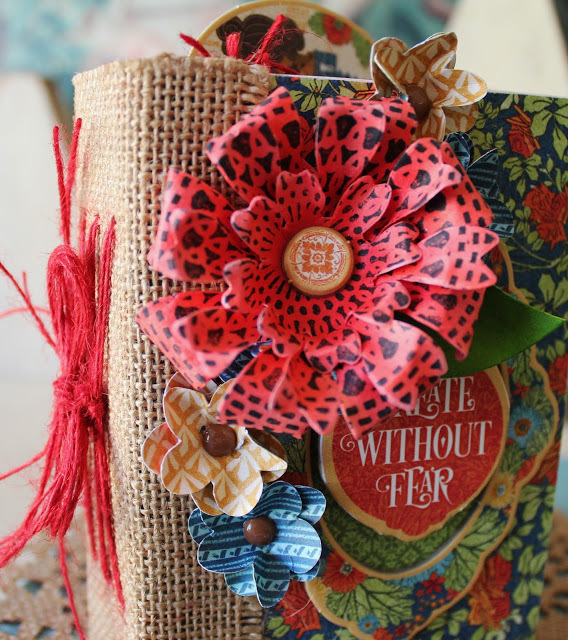 Click here and I will take you on over to her blog, Scrapbook Flair. Pam shares all of the materials she used to create her album, along with the pictures of the inside pages. This is one mini album you will want to take the time to create. It is absolutely adorable! Thank you, Pam, for sharing this wonderful mini album. Sometimes creating backgrounds for cards and/or layouts can be mind-boggling. Do you ever sit and stare at your project and rack your brain trying to come up with something new? I know I sometimes do! Today I would like to share these Faux Tile backgrounds! Would you believe that these are created using 3D foam pads? You can create any color that you desire, and they can be either masculine or feminine. Such a great way to think out of the box! This technique is not only very beautiful, but it also adds a lovely touch of dimension and texture to your project. Who says that adhesive is just for adhering? I bet you are dying to know how these beautiful Faux Tiles are created, aren’t you? 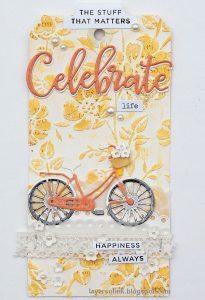 Click here for a full step-by-step tutorial by Michele Kovack. This is such a great way to use your favorite glitters. I hope you enjoy creating your own Faux Tiles! This darling card has such a clean and elegant design. It can be used for any occasion just by changing out the sentiment. What a sweet card that will bring a smile to anyone’s face. These flowers are so whimsical with their frayed edges and crumpled fabric. 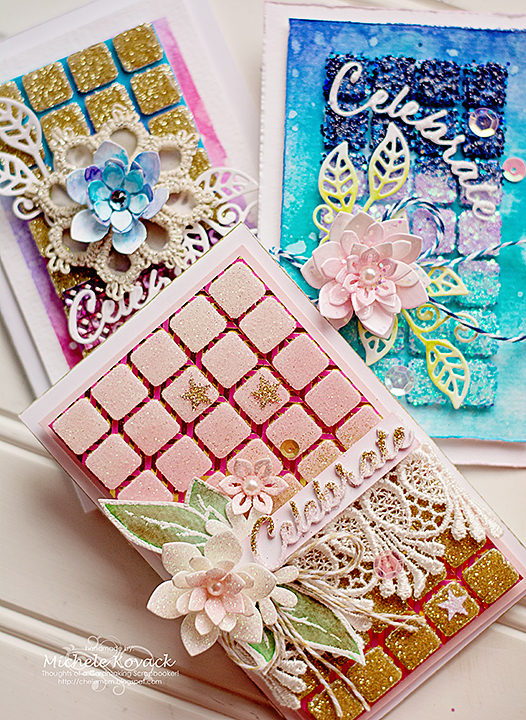 This is such a great way to create some texture on your card. 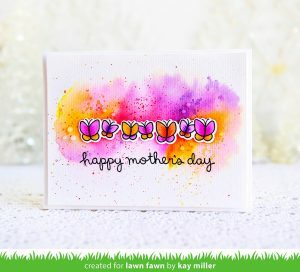 I would like to take you over to Simon Says Stamp blog where you will learn some wonderful techniques from a YouTube tutorial by Shari Carroll on how to create your flowers. 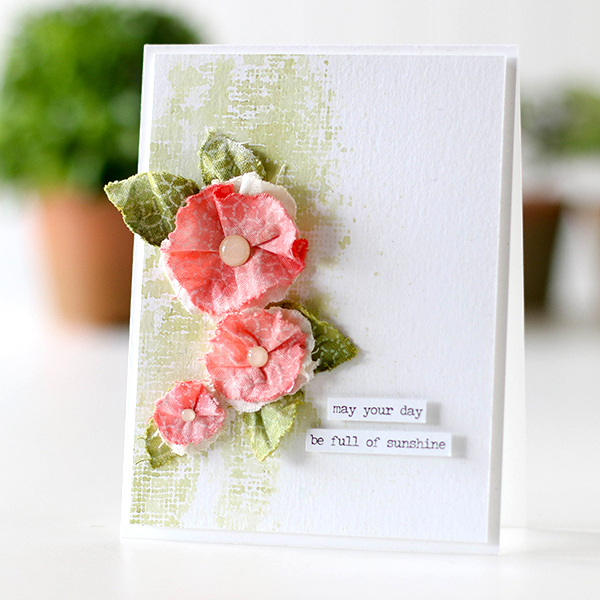 This is such an eye-catching card – I bet you can’t wait to get started creating your own! Summer is one of my very favorite times of the year. I love having flowers planted in my yard and my patio full of potted plants. I like to have different types of pots so it gives my patio some personality. I came upon these fun Rope Wrapped Terra Cotta pots, and “wow!” did they give some character to my patio. Do you have Terra Cotta pots sitting around in your garage? Pull them out because I know you will have a lot of fun creating these pots. These are also great for an outdoor table centerpiece! Using a standard paint brush with your choice of paint, you can add a touch of color to the base of the rope wrapped pot. 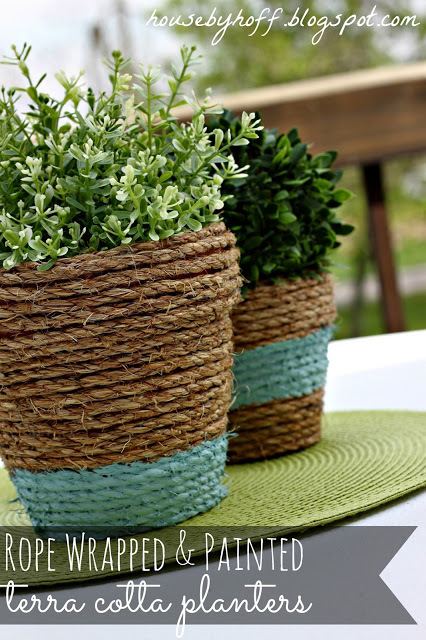 Just add a few colorful flowers and you will have created an easy and inexpensive project that will add a touch of texture and interest to your patio or table. Come with me over to House By Hoff where April will give you step-by-step instructions on making your own Terra Cotta Rope Wrapped pot! 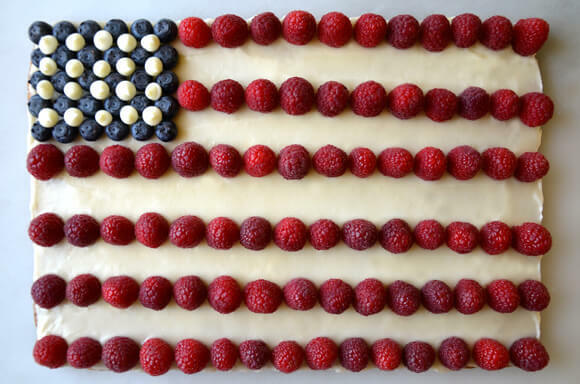 With the Fourth of July just around the corner, it is time to start thinking of a fun, yummy dessert for your get-together with family and friends. This adorable red, white, and blue dessert will certainly catch the eyes of those you are celebrating with and makes a great finale to your festive feast. And its guaranteed to set off the flavor fireworks! Try sharing this buttery shortbread cookie cake with your family and friends in July. I guarantee they will go back for seconds! Click here to print off your recipe from Just A Taste. You will want to add it to all of your other favorite recipes. Enjoy! I appreciate being able to spend some time with you today. I hope you have been inspired and excited to start on your own projects. Enjoy the rest of your weekend, and have a wonderful week ahead of of you. I will see you back next Saturday! This entry was posted in At Home, Card Making, Home Decor, Recipes, Saturdays With LeAnn, Scrapbook Expo, Scrapbooking, Stamping and tagged 3D Foam Squares, Album, burlap, buttons, dessert, Donna Salazar, Eileen Hull, Fabric Flowers, Fourth Of July, Fruit, Glitter, Graphic 45, Grunge Twine, Just A Taste, Kelly Senyei, Michelle Kovack, Pam Bray, recipe, scrapbook Adhesives, Scrapbook Flair, Shari Carroll, Shortbread Cookie Cake, Simon Says Stamp, Sizzix, Spellbinders, video. I really liked the tile cards, that’s a very unique way to use 3D foam . the fabric flowers would be easy since I have a lot of scrap fabric pieces. The faux mosaic background was by far my favorite. Thanks for the tips.